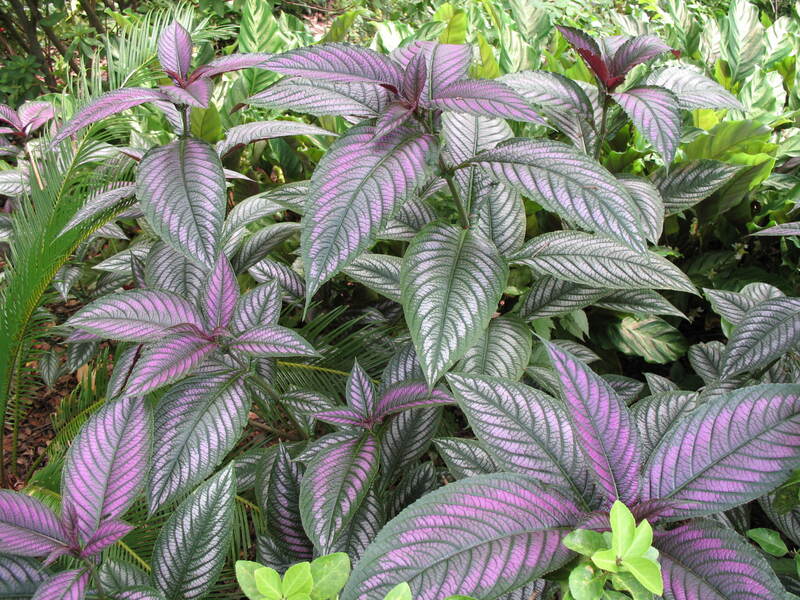 Comments: This plant, normally grown as an annual for seasonal color during the warm months of the year has unusually striking violet colored foliage that is somewhat metallic. Provide a fertile, well drained soil and sunlight during the morning hours. It can tolerate shade in the afternoon. Plants can grow quite large in one season, but cannot tolerate freezing temperatures. This large sub-tropical plant is especially effective featured in containers with other plants. It also does well in a seasonal color bed for the summer months.